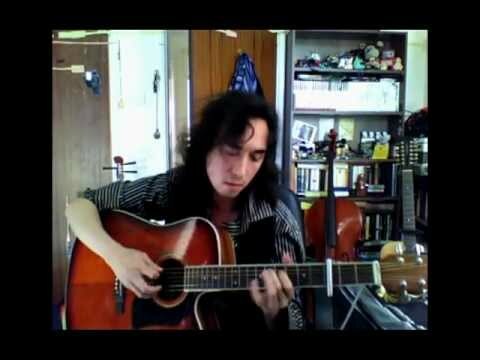 Here’s a clip from a new little thing I’m doing – videoing a few songs and popping them on Youtube. Flandyke Shore is a traditional song and this version is most similar to the arrangement by Nic Jones. I learnt this years ago and have never really played it, so I think there are a few changes that aren’t quite right – either way I was never able to play it to Nic Jones’ standard so those limitations have created this arrangement. Anyone interested in the tuning will want to tune their guitar to what I believe is called Cmodal – CGCGCD. And for anyone else interested, to my knowledge (and probably defective memory) this song is a variation of Flanders Shore which came from a tune called The Ploughman’s Love For The Farmer’s Daughter, though the war that it features was a good hundred years before so it is probably older.